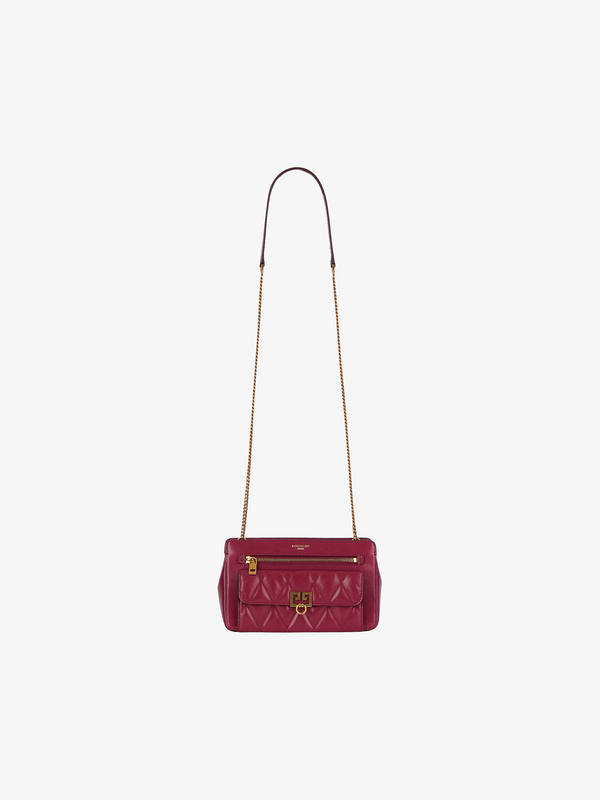 Pocket bag in smooth orchid purple leather with chain and leather shoulder strap. One zippered pocket and one small flap pocket in diamond-pattern quilted leather on the front with antique gold-finish metal Double G piece. One flat pocket on the back. One main compartment and one flat pocket inside. Metal zipper closure with leather zipper pull.